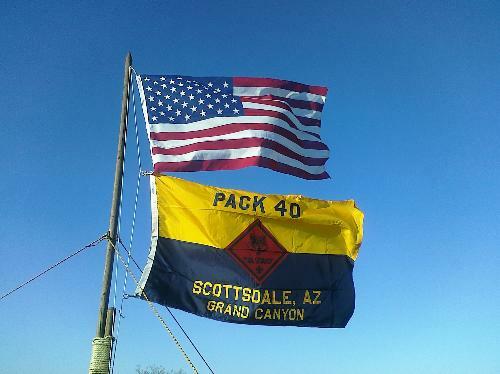 The leaders of Cub Scout Pack 40 are committed to providing a quality, year-round program of Cub Scouting activities. Special emphasis is placed on building character, strengthening the family bond, enhancing citizenship, and enjoying outdoor activities. Cub Scouts is open to all boys in kindergarten through fifth grades. Most of the content of our website is password protected to ensure the safety and privacy of the Pack. For more information, please click on the "Contact Our Pack" link above. If you or your son are members of the pack, please make sure that you send the full name of the parent and the child, as well as a contact phone number and email address.